The US video and TV industry saw a 1% rise in consumer spend in 2018, taking the market to US$133 billion, according to Futuresource Consulting. The research firm estimates that the US market accounted for 53% of the global industry total last year and predicted modest annual increases for the coming years, reaching US$136 billion by 2022. Futuresource claims that subscription video-on-demand spend by consumers exceeded that of transactional video for the first time in 2018, growing by about 30% for a sixth consecutive year. 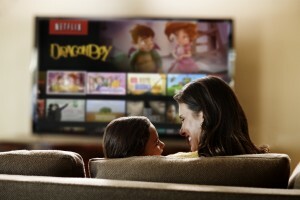 By comparison, pay TV revenues declined by an estimated 2% to US$97 billion in 2018. They will decline by an average of 1% per year for the forecast period, as consumers spend more on SVOD services, but will still account for more than two-thirds of total entertainment spend in 2022, according to Futuresource. “There’s no doubt that US pay TV operators are under pressure, with many services placing greater emphasis on broadband delivery, third party services and pay TV lite operations to help maintain overall revenues,” said Sidebottom.